When I was kindly invited to design the Principe Suites, my aim was to create something exclusive and welcoming. Although glamorous design and dramatic tones are key ingredients, comfort is just as important as the aesthetics. These suites are quite eclectic, featuring iconic Milanese marquetry furniture and art that recalls Italy’s great heritage. I always start a new project by getting a feel for the place and consider the type of person it would attract. For the Principe Suites I had a clear vision of Maria Callas, the renowned soprano opera singer, choosing a suite like this. I know she enjoyed staying at Hotel Principe di Savoia when she was performing at La Scala, so she became my ideal muse. This idea inspired the stylish fabrics and I envisaged her listening to ‘Libiamo’ from La Traviata, whilst indulging in a delicious glass of Italian red wine accompanied by some very dark chocolate. Opera is a great passion of mine and La Scala is Italy’s most prestigious opera house. It’s also representative of Milan and its strong tradition of music and ballet. Through echoes of classic Lombard style and contemporary elements, I wanted to make this spirit shine through. There’s a deliberate play on colour, from the delicate bedroom colours to the more theatrical living room ones and edgy bathroom design. I also played with different heights for the furniture, an essential element for making interiors look more striking and less contrived. For me, there’s nowhere like Milan. The city is a sophisticated combination of impressive opera, high-end fashion and exceptional architecture. The way these appealing attractions are mixed together is breath-taking. It’s a destination I never grown tired of and the same goes for Hotel Principe di Savoia itself. The hotel’s rich heritage is ‘rooted’ into Milanese life, yet it’s somewhere that still manages to evolve and doesn’t shy away from a little spontaneity. I’m naturally drawn to creative craftsmanship and suppliers who share by passion for excellence. This is due to the quality of materials supplied by the best Italian and French houses, whose fabrics are based on authentic archive designs, including illustrious names such as Rubelli, Dedar, Sahco, Pierre Frey and Nobilis. Portraits of 19th century Milanese life and operatic music scores on the walls pay a fitting tribute to this amazing city. Design should feel like it has evolved over time. You want to acknowledge what came before. A sense of history is incredibly important. I was so delighted by many of the fabrics and furnishings I found for these suites. If I had to choose one thing to highlight though, it would be the ornamental mirrors. They’re really unusual and something I’d love to have in my own home. I’ve a feeling that Maria Callas would have approved of them too! 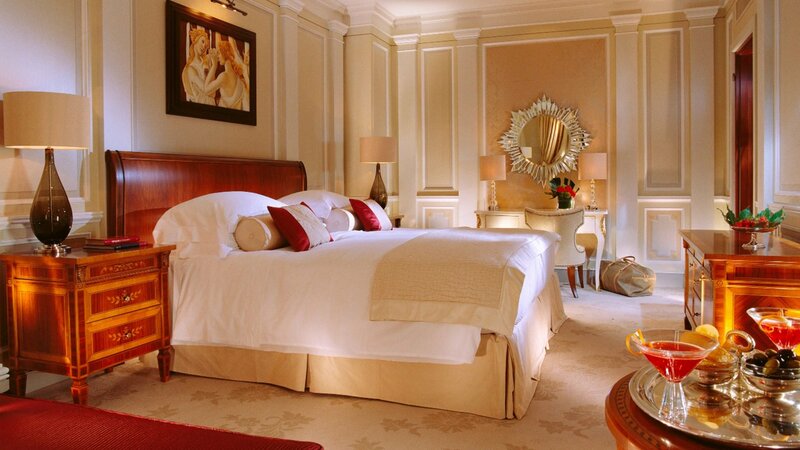 When planning your next stay at Hotel Principe di Savoia I hope you’ll be tempted to choose a Principe Suite. As the city prepares to dazzle under the spotlight during Milan Fashion Week, we take a look back at why it’s one of the world’s leading fashion highlights of the year. Imagine sitting in a bar surrounded by Tina Turner, Mick Jagger, Ray Charles, John Belushi, Cher, and an up-and-coming Steve Jobs. Well, thanks to film and photography legend Norman Seeff, at The Bar and Lounge at Hotel Bel-Air that’s exactly the experience you get. Royalty and celebrities alike adore Hotel Principe di Savoia’s Presidential Suite. Designed by American architect Michael Stallia, whose mission it was to create a real wow factor, this suite never disappoints and has even starred in a Hollywood film. Following a complete renovation, Hotel Eden reopened its doors in April 2017. The hotel is now home to 98 guest rooms and four outstanding signature suites, including the Bellavista Penthouse Suite with spectacular panoramic city views.